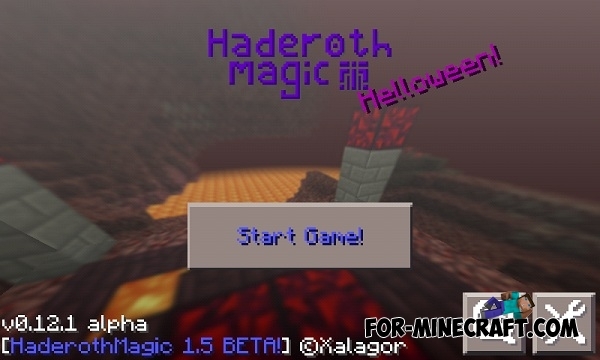 HaderothMagic - a new modification, which has a magic system to Minecraft Pocket Edition. 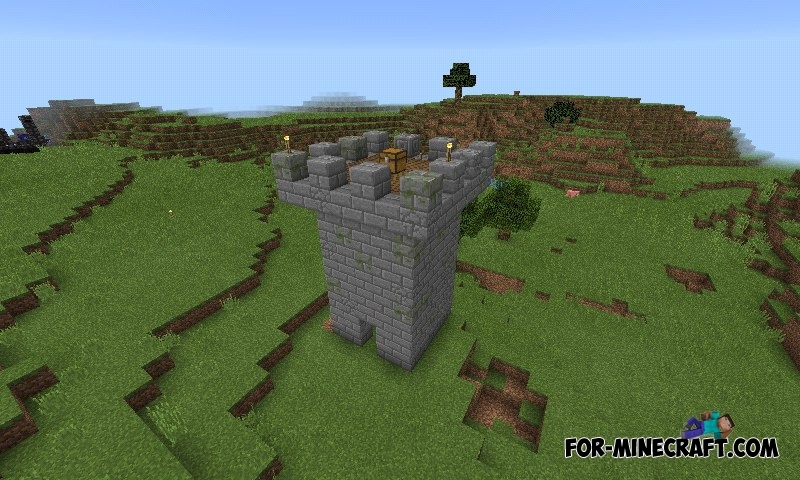 Now you can explore new places - towers, houses, various treasury and will be able to create a powerful weapon and with the help of magic to change the world. ▶ Improvements to Mithril tools: you can now make the extraction faster and more convenient. ▶ Graphical interface (Work In Progress). ▶ A new game menu. 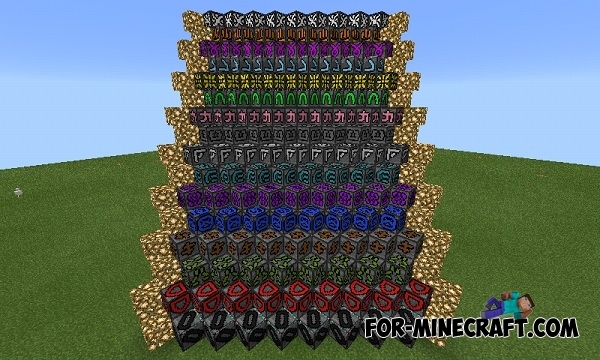 ▶ Runic blocks of 16 colors. ▶ Changes in the textures. ▶ You can cook a potion in a cauldron. You need to tap using the specified ingredients (in parentheses after the potion). You can pour a water into the cauldron using buckets. All effects have a level II and act on one minute. Now, the skull is displayed as a subject. ▶ Remove all possible mechanisms ("Wizards do not engage in mechanisms;)"). The mechanisms will be realized in a different form in future versions (the blocks are reserved for decoration). ▶ Mantle postponed to a new armor system of the BL 1.9 and adds mithril armor (almost equal to the diamond armor). 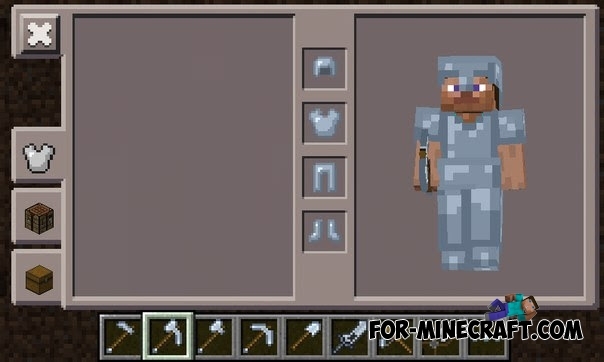 ▶ Added mithril hoe, pick, ax and scissors. ▶ Realized a new mechanics tools. ▶ A new mechanics of mana: You need to create an amulet that keeps mana. Amulets are of three types: Stone: contains 200 units of mana (Andes + granite + diorite), Metal: 1000 units of mana (iron + gold + mithril), Crystal: 10000 units of mana (diamonds + emeralds + ruby). All magic items will work, if you have the amulet in inventory filled with a sufficient amount of mana. 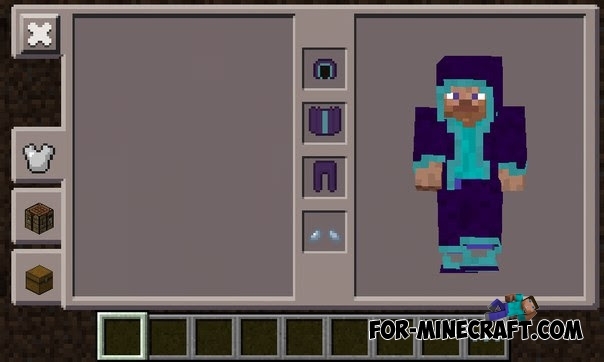 All craft you will see in the crafting table. ▶ Added mithril block and ruby block. ▶ The tools will not lose a strength, if you have an amulet with mana. ▶ Fixed the texture of mithril tools. 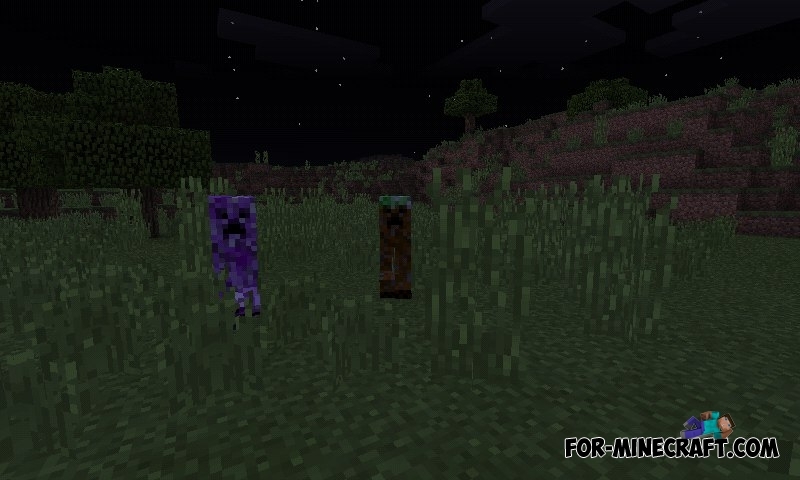 Apple Potion mod for Minecraft PE 0.11.1This mod adds to the game a few new kinds of apples that by eating will give you a certain effect. 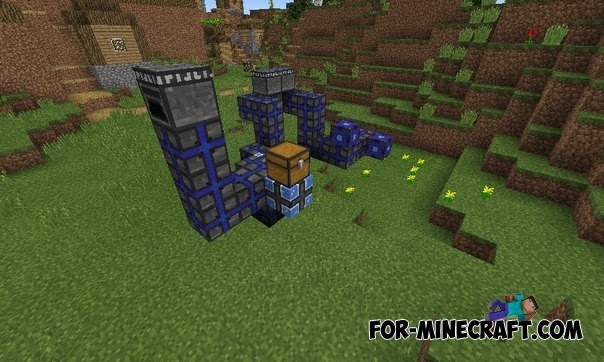 Too Many Items [TMI] mod for Minecraft PE 0.11.1 / 0.11.0Excellent addon, with which you can easily add any items, to instantly change the game mode, time of day, include the effects of the potion, and more! 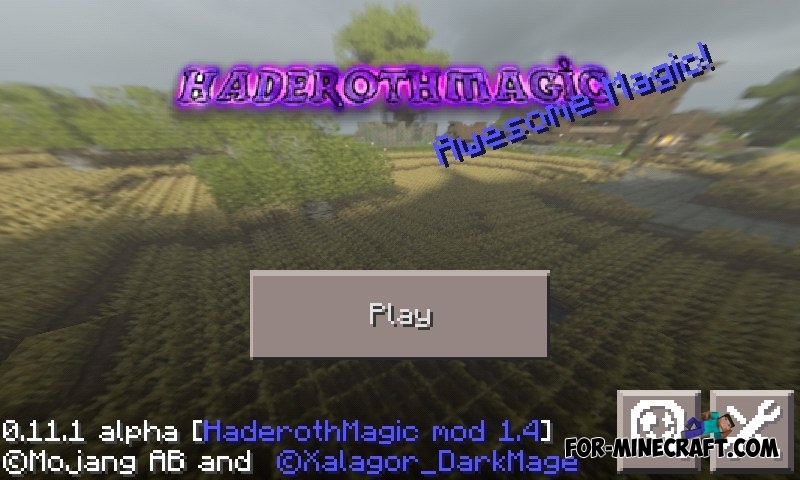 MagicalRpg 1.1 for Minecraft PE 0.10.XMagicalRPG - addition to MCPE, add various magical content. 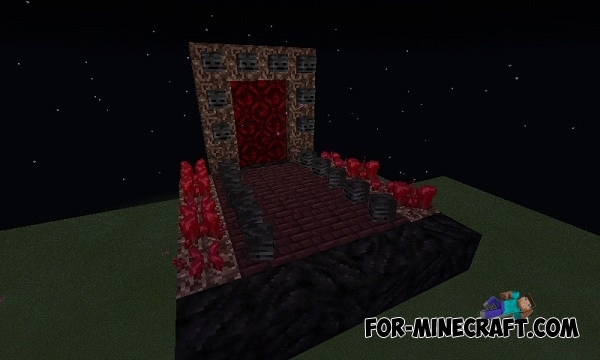 GunCraft Zombie Edition mod for Minecraft PE 0.10.4Hello, visitors to our site! 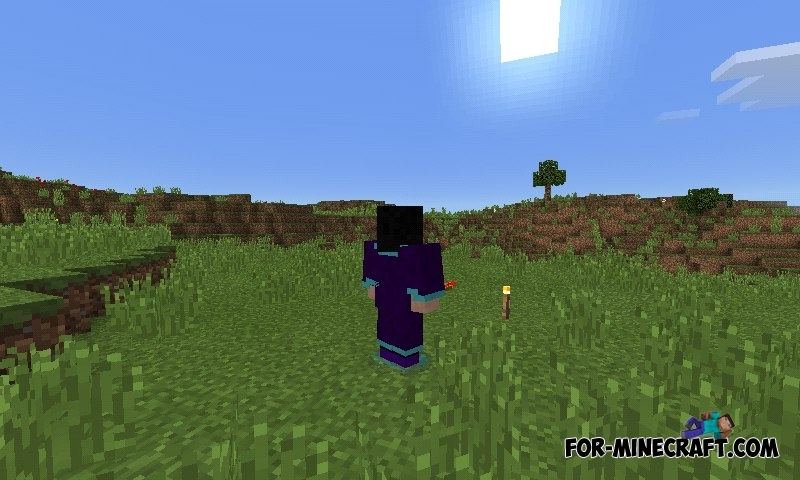 Today I want to show you a very cool mod that will diversify your game by adding potions, food, but most importantly it is a firearm! Das ist kein Spiel. 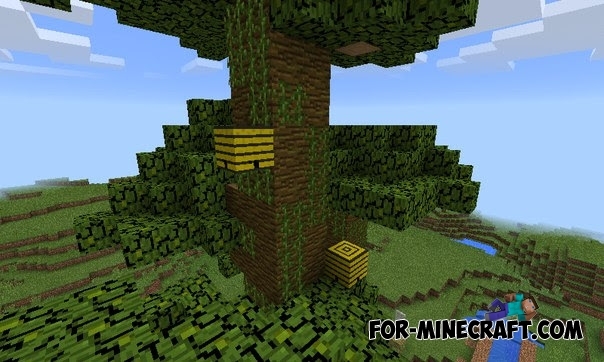 Es ist eine Modifikation f?r Minecraft PE.